How to Keep Spotify Music Forever after Canceling Premium Subscription? Spotify Premium is Spotify's paid subscription, which costs $9.99 per month. Premium offers the ability to play any song in the catalog, download it to your device and listen offline, an ad-free experience and high-quality audio. While this streaming business mode is far more perfect, there are still different reasons to cancel premium, like switching over to another streaming service, joining a family plan, or cutting back on your monthly bills. Whatever your reason, canceling your premium music experience is pretty simple. 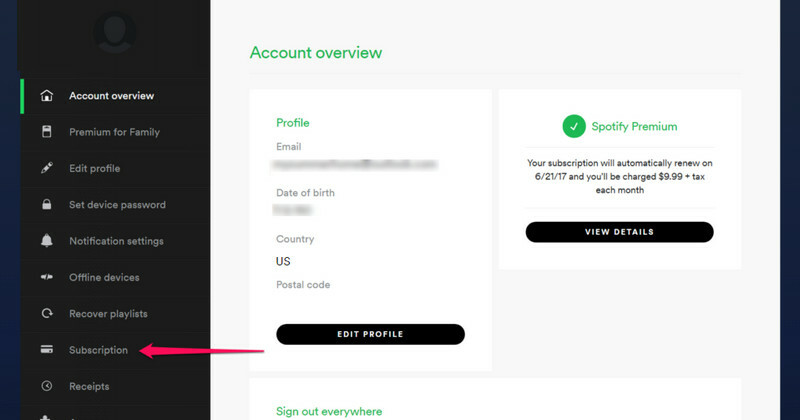 If you’ve decided to cancel your Spotify Premium subscription and also want to keep Spotify music playable after unsubscribed, here’s how to do it. 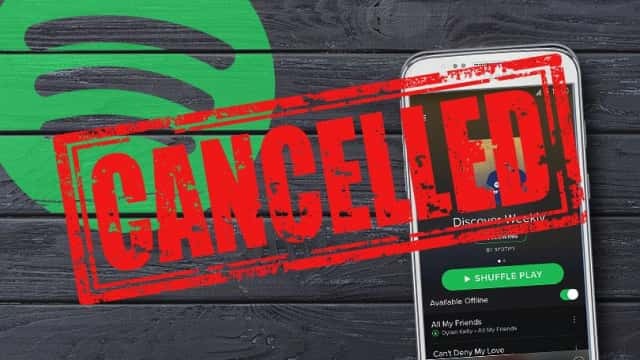 How to Cancel Your Spotify Subscription? Can You Re-activate Your Spotify Premium Subscription? How to Keep Spotify Music Forever after Unsubscribed? 1) Go to the Spotify subscription page. 2) Click on subscription from the menu on the left side. Under Subscription and payment, click the Change or Cancel button to cancel your subscription. 3) Click on cancel your subscription. 4) Click on the reason you are leaving. Click Continue. 5) Enter your password in the password field. Click on Cancel My Subscription. 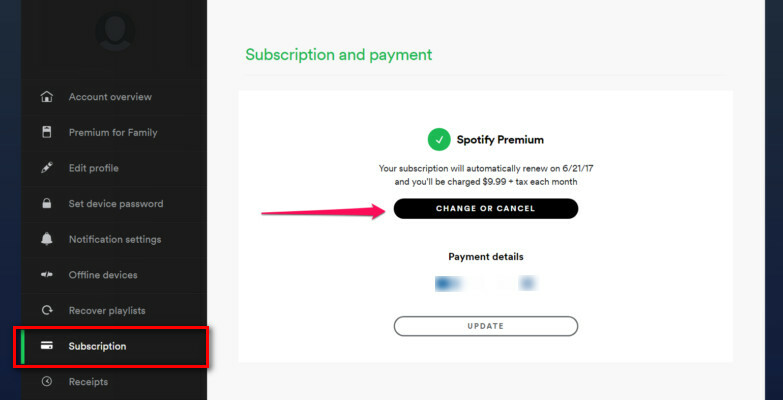 Tips: After successfully cancelled Premium, your account would automatically revert to the free version of Spotify. Of course, Spotify reminds you that you can always renew your paid subscription should you change your mind. Sure, you can! Spotify will save all of your playlists and settings from your premium account for three months. So, if you feel the need to go back, you can just sign back up for a premium account using your same account information. After the cancellation of your subscription, you will not have access to any offline content you downloaded when you had premium and no longer to enjoy 320kbps audio on Spotify. And, Spotify music files are protected by DRM, which not allowed to be played on any device other than Spotify's media players. Fortunately, Sidify Music Converter for Spotify provides the best solutions to anybody that has lots of playlists within Spotify, as Sidify program does an excellent job of removing DRM protection from Spotify music/ playlist and convert these music to MP3, AAC, FLAC or WAV format.It legally removes DRM protection along the way so you can enjoy your accumulated Spotify music across different devices without restrictions. 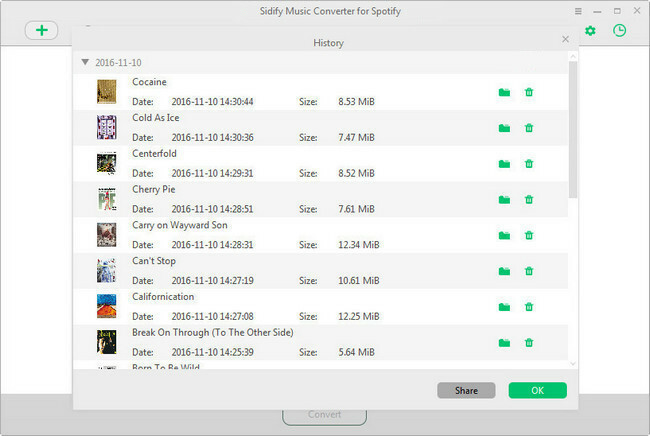 In this following, we'll show you the steps to download music from Spotify with Sidify Music Converter for Spotify (Windows version). 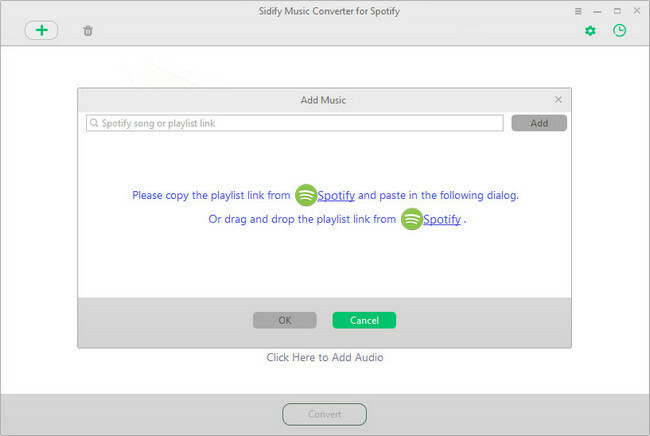 Download & Install the latest version of Sidify Music Converter for Spotify. Step 1. Launch Sidify, you Spotify would automatically pop out in seconds. Then click " " icon or "Click here to add Audio" to import Spotify music by dragging & dropping music/ playlist from Spotify to Sidify adding music window. Step 2. Adjust output format, conversion speed and output path, etc. Step 3. Click "CONVERT" button to start conversion. 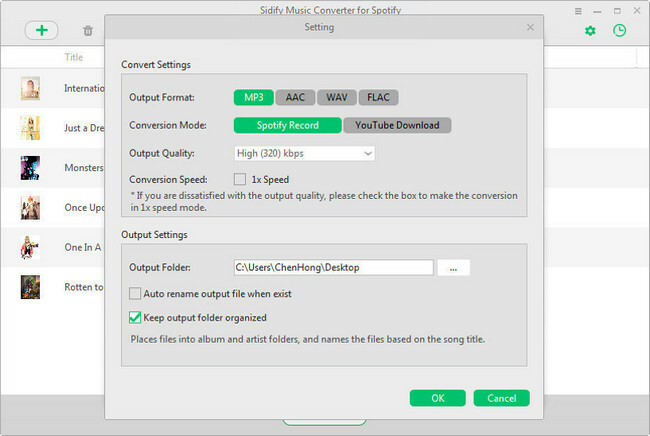 Tips: Sidify Music Converter for Spotify is available to download from Sidify.com and it retails for $39.95. If you’d like to try it first, the software download will convert a three-minute sample for your perusal.